A couple months ago some Google Opinion Rewards survey-filler-outters received questions about the OnHub that suggested Google had new shells in the works. At least one of the three options provided looked like a paper towel holder, and the others could easily pass for trash cans. Google wanted to know which one people would be most willing to buy. Well, all three variants have appeared in the Google Store, where they're listed as coming soon. Google said in a blog post that the shells are set to go on sale later today in the US for $29-$39. 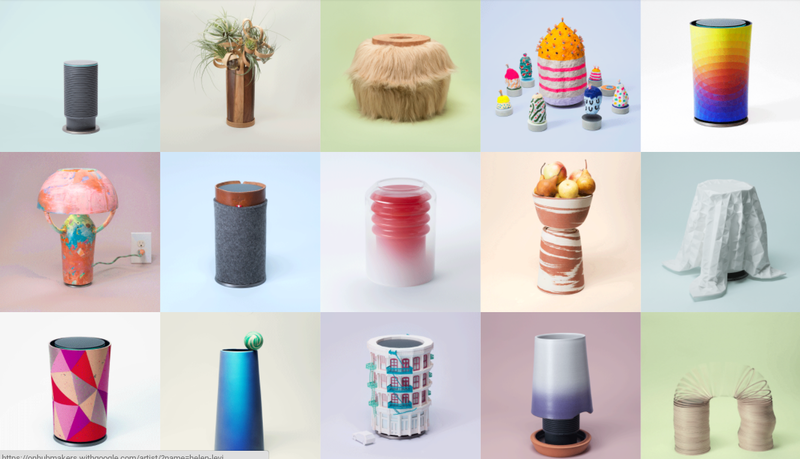 The company then proceeded to highlight OnHub Makers, a gallery of designs from various artists. Creators produced designs that turned OnHubs into vases, lamps, and toys. 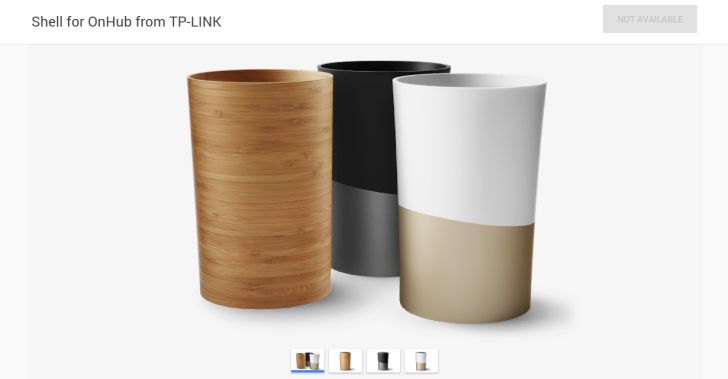 Google is calling for more designers to take up the challenge of giving its little Internet-spewing cylinder a noteworthy appearance, so take a shot if you think turning the router into a paper towel holder just isn't going far enough.